Big data and advanced analytics are being integrated into optimization tools, demand forecasting, integrated business planning and supplier collaboration & risk analytics at a quickening pace. 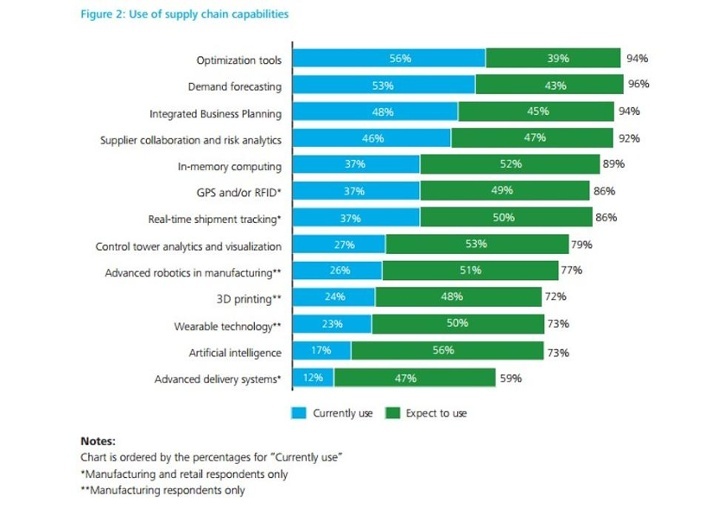 These are the top four supply chain capabilities that Delotte found are currently in use form their recent study, Supply Chain Talent of the Future Findings from the 3rd Annual Supply Chain Survey (free, no opt-in). Control tower analytics and visualization are also on the roadmaps of supply chain teams currently running big data pilots.